As a Calabasas resident for the last 28 years, I’ve seen restaurants come and go like a Kylie Jenner wig swap. Very few have stood the test of time and have been able to captivate the stomachs of suburbia’s finest. But for those that have prevailed, they have become landmarks in the city we call home. Whether it’s your first time in Calabasas or Meal #102306, the below restaurants are THE go-to spots for anyone looking to get their grub on. NOTE: The restaurants on our list are specific to Calabasas - I've tried not to include any "chain" restaurants or restaurants with multiple locations. Kicking off the countdown at Number 5, Pedaler’s Fork is by far the most unique destination on our list. 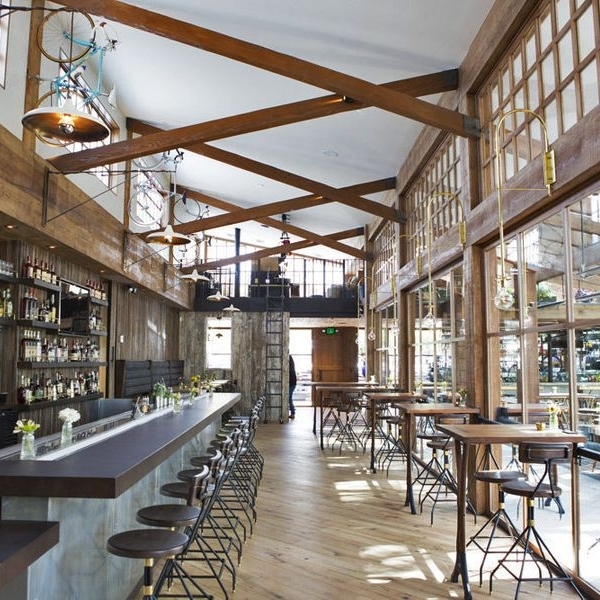 Located in the heart of Old Town Calabasas, Pedaler’s Fork is like no restaurant you’ve seen before. Along with the traditional dining experience, Pedaler’s Fork also serves as a premium bar, a local coffee stop, and a boutique bike shop. Yes, a bike shop. But don’t let its many components fool you. Each part of this fine-tuned machine works perfectly in unison, providing customers with an experience they won’t find anywhere else. Whether you’re jonesing for a delicious weekend brunch or trying to live the Lance Armstrong lifestyle (minus the scandals and all), look no further than Pedaler’s Fork. Tucked away in a small shopping center lies this European-style cafe with vibes Straight Outta Italy. Blue Table not only features a delicious menu, but also serves as a small marketplace offering an array of wines, cheeses, and other imported goods. Take a seat at one of their communal tables or grab a scenic table on the sidewalk. Chances are you’ll see a familiar face. As for the food, you can always start with a cheese or charcuterie plate – their walk-in cheese closet offers a number of gourmet cheeses that’ll satisfy the cheese rookie, as well as the cheese connoisseur. But if you ain’t with all the fanciness, head straight to the restaurant counter and choose between one of their many soups, salads, sandwiches, paninis, and/or Italian pizzas. My advice is to go with a sandwich or panini, as I’ve never had one that wasn’t better than exceptional. Next time you’re in Calabasas, be sure to take a stop in this quaint piece of Heaven. While I attempted to only choose restaurants indigenous to Calabasas, I couldn’t leave out this gem. Located in the Hub of Calabasas, The Commons, Le Pain Quotidien sits at Number 3 on our list. I like to refer to Le Pain as Old Faithful, because you always know what to expect from a meal. This French-inspired bakery on steroids has multiple locations around the world, however the Calabasas location has a great hometown feel to it. 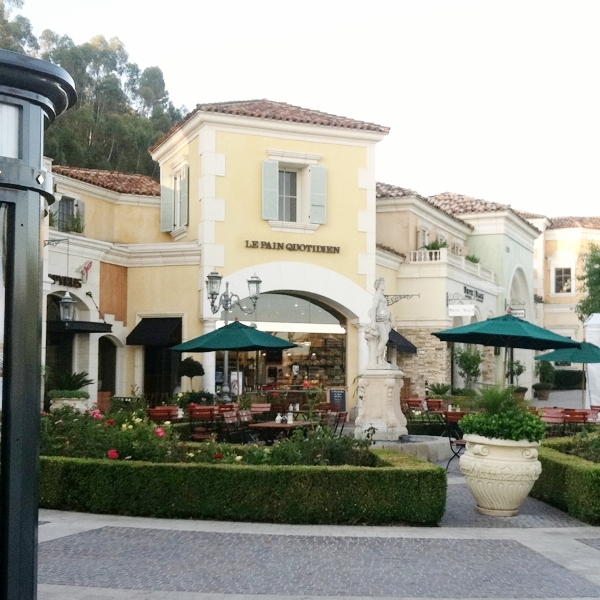 While you typically see the Calabasas locals/regulars congregating at one of their many communal tables, Le Pain has also become a favorite to many of the celebrities in town – most notably Kylie Jenner and Jaden Smith. Hit up Le Pain during brunch hours and the odds are pretty good you’ll recognize someone you see on the big screen. One final recommendation, I would suggest going for either breakfast or lunch, as the portions aren’t huge and mainly tailored to “early day” type foods. Le Pain has a special bakery counter where you can order any delectable treat or a coffee to go. If you’re staying for a full meal, which most do, their signature menu item is the tartine (open-face sandwich). Their tartines feature both sweet and savory toppings so there’s something for whatever mood you’re in. You can get all the usual breakfast items (French toast, waffles, pancakes, omelettes, etc. ), but they also offer unique options like the Sunny Side Breakfast Bowl. They are also pretty deep on drink choices – ranging from freshly blended smoothies to organic coffees and teas. Tasty meal, CHECK. Great scenery and potential star sightings, CHECK. Hometown vibe with great service, CHECK. What’s not to love? While technically not in Calabasas (right across the freeway in neighboring Woodland Hills but check our Instagram post for the trade we made), Health Nut lands at Number 2 on our list. In its early years, Health Nut started out as a vitamin and supplement shop that served a couple food items in the back corner of the restaurant. Fast forward to today, Health Nut has become a full-fledged restaurant with no traces of vitamins anywhere in sight (it’s been vitamin-free for a year now). While many locals knew of this hidden gem, its break out moment happened when it was first featured on Keeping Up With the Kardashians. Since then, it seems like the Kardashian clan features a Health Nut salad in every episode. Kim even gave them a personal shout out on her Twitter account a couple years back.